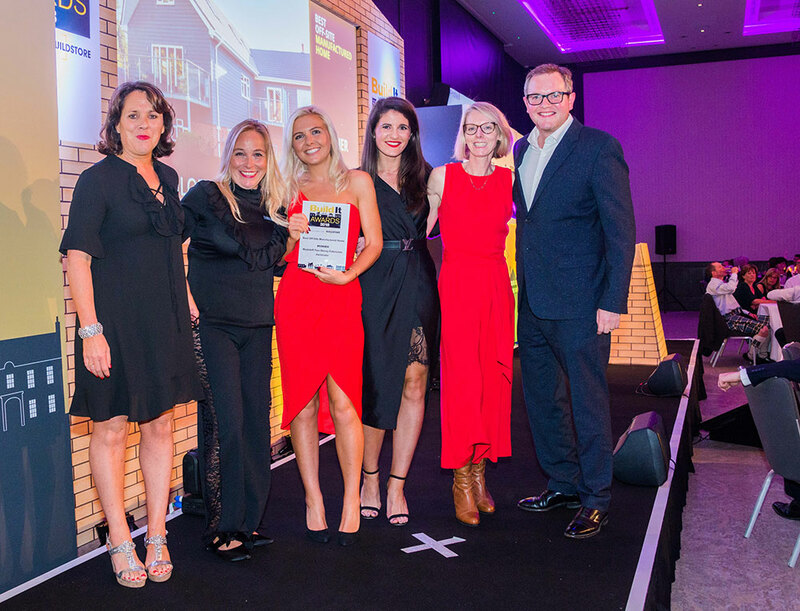 We were so pleased to win again at this year’s Build It Live Awards, in 2017 we won Best Roofing System and this year we are proud winners of the Best Offsite Manufactured home for our 2 storey Moduloft in Axminster, Devon. Our largest residential renovation to date, this project allows us to truly demonstrate that Moduloft can take an existing property structure and extend to create additional space with modular factory build. This traditional bungalow was looking to gain 5 bedrooms, 2 bathrooms and games room with a 2 storey extension to create their dream home. This fantastic win is wonderful and one that marks our credibility and focus to deliver offsite build for our customers that ensures they get their new space quickly and to our very high standards. 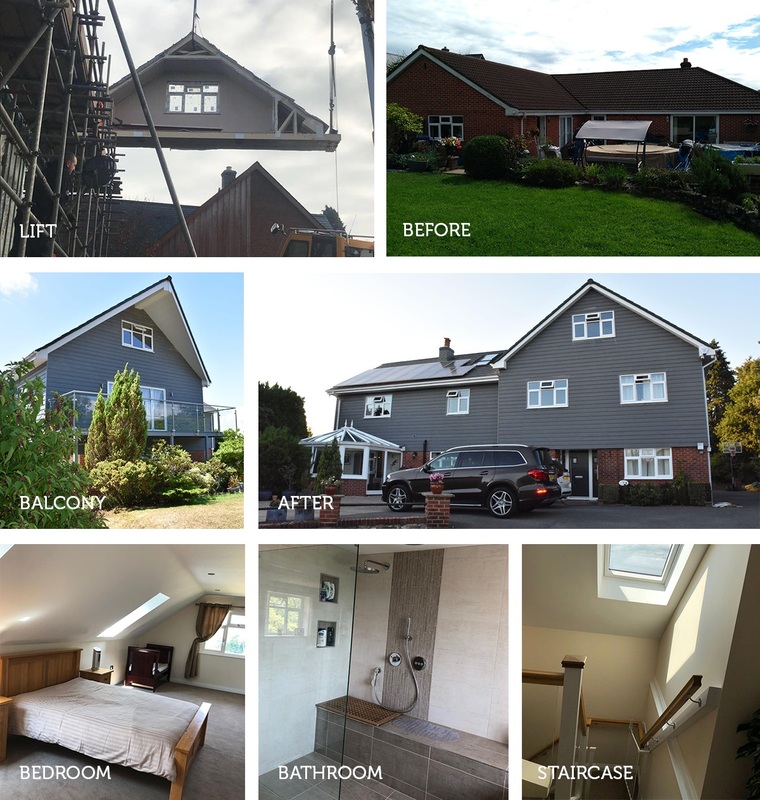 Offsite build requires a serious level of planning and attention to detail and our 2 storey in Axminster was a challenging and rewarding project from start to finish. The challenge with this project from a structural point of view was to in effect build a modular multi-storey solution to fit on top of the existing bungalow. Our solution had to comply with height restrictions imposed by planning whilst maintaining the required floor and ceiling heights. The sheer volume of modules on this residential property created its own challenge there was thirteen for the first floor and thirteen for the second floor. We lifted twenty six modules over five days to complete the new space. Our focus on bespoke means we listen to our customers’ and adapt our build to meet their needs. The new space needed to be suitable for wheelchair access with level door thresholds, increased door widths, movement space and a lift shaft placed within the stair core. The exterior finish was also key to embrace the location and allow the family to enjoy outdoor space, the roof to the rear featured a canopy over the gable end, roof terrace and Juliet balconies. From start to finish this project took fifteen weeks, we lifted over five days and the team were onsite for four weeks.